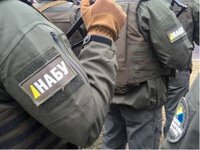 The former external advisor to the head of the State Space Agency of Ukraine (SSAU) in 2009-2010 has been detained by the National Anti-Corruption Bureau of Ukraine (NABU), as he is suspected of causing a $8.25 million loss to state-owned enterprise (SOE) Ukrkosmos under the Lybid project. The press service of the NABU reported on Wednesday that on December 4, the former external advisor was notified that he is suspected of committing a crime under Part 5 of Article 191 (Misappropriation, embezzlement or conversion or property by malversation) and Part 3 of Article 209 (laundering of criminally obtained money and other property) of the Criminal Code of Ukraine. According to the report, as part of the investigation, on December 4, another person was notified that he is suspected of committing a crime under Part 3 of Article 209 of the Criminal Code of Ukraine. According to investigators, in 2011-2017, the suspects organized a scheme, as a result of which they removed from Ukraine and legalized UAH 8.245 million provided as part of a loan by the Export Development Canada (EDC) to manufacture a launch vehicle at the facilities of the SOE Pivdenmash (Yuzhmash) to launch the Lybid satellite, the press service said. "As a result of these actions, the launch of the first Ukrainian satellite Lybid as one of the components of the creation of the National Satellite Communication System of Ukraine was disrupted," the press service said.